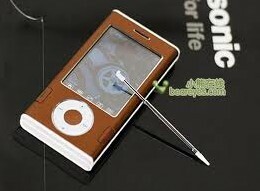 Currently, music features become mobile phone consumption of hot spots, the availability of MP3, MP4 to become consumers buying Mobil preferred elements. In order to meet consumer demand for music phones, bubugao mobile phone was committed to the development of professional music mobile phone and get impressive results. In addition, bubugao i368 music mobile phone also has a powerful audio and video playback capability, support MP4, 3GP video files download/playback, and supports full-screen playback. Bubugao i368 also supports USB cable connections, and support PC camera (webcam) camera, saving costs and make you ready to experience the fun of video online. Support OV company photosensitive photo technology, unique photo mode and let the real colors are more beautiful, clear video capabilities, perfect capture DV and vivid images, and support extended to allow 2G expansion card you enjoy shooting beautiful scenery. It is understood that, step by step i368 with metallic shell and with an elegant coffee color, simple slider design, 2.4 inch TFT screen, QVGA high-definition display, stylish slim surplus Holden metallic still however, push the slide cover, softness, and embellished with blinding bright side, showing the manner. Industry insiders predict that as the music phone market broke out, step by step i368 etc I series music phone, including i268, i368 i288, i328, will become the leader in professional music phone, to the vast number of consumers can share experience.